This is a rectangular flange Peninsular Paint porcelain sign. 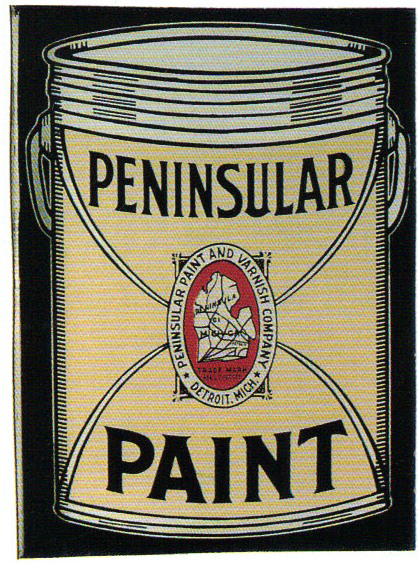 This particular Peninsular Paint sign features a beige can of Peninsular Paint against a black background. It reads, “Peninsular Paint, Peninsular Paint and Varnish Company, Detroit, Mich.” and features a red and white Peninsular Paint emblem in the center.